my life belongs to Him: HOW DO I MAKE THEM UNDERSTAND!? HOW DO I MAKE THEM UNDERSTAND!? 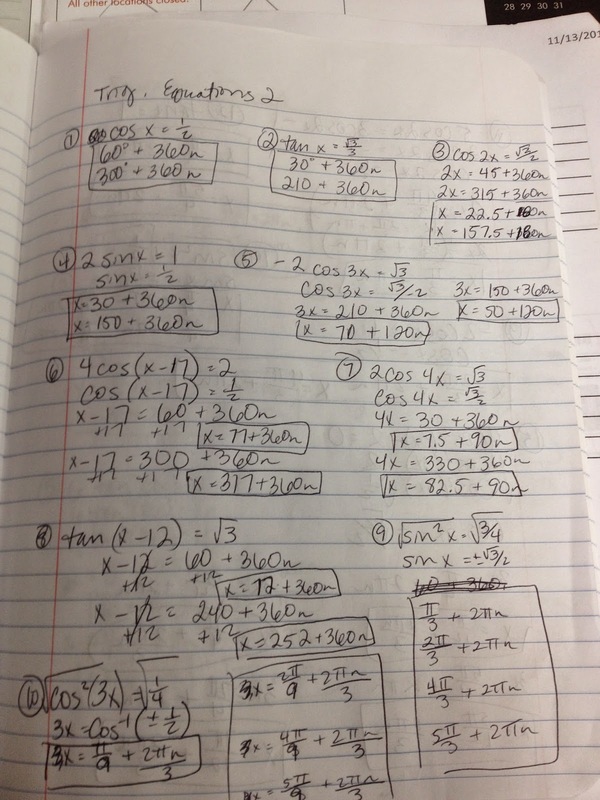 I was teaching solving trig equations at the beginning of the semester, and the kids just were not getting it. There was probably some issue with me diving in too deep too quickly, but the kids were not trying their hardest to understand either. I was fed up and out of ideas to help them understand. Then I had an idea. What if I just make a dropbox folder with all the homework worked out so they can look and study on their own time. 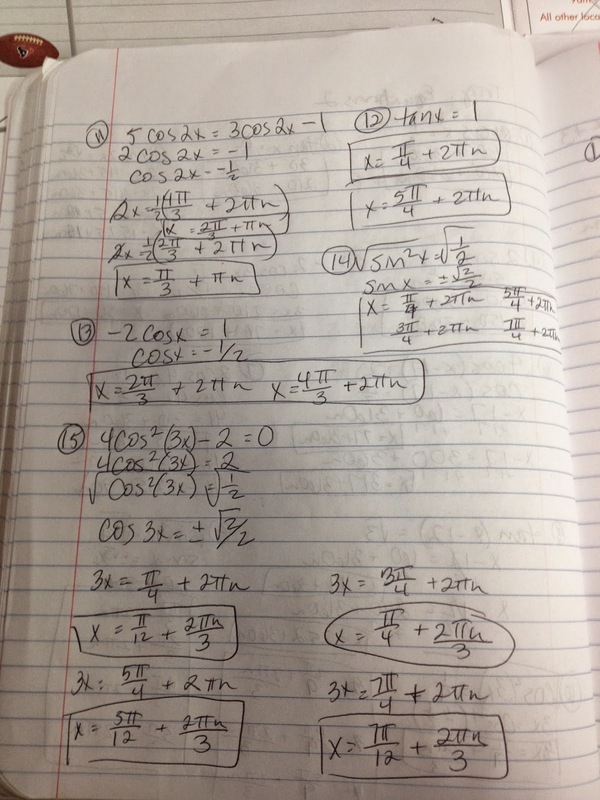 I don't have time to sit and tutor every kid, but if they have the work in front of them, they might be able to make some more sense of trig equations. Turns out it was a good idea. The kids who use the link love it. The kids who continue to ignore me don't care. Their loss. I want to help the ones who care and want to try. This has done it, and it really isn't that much more work for me. I am going to work every assignment anyway to make sure I know what I am doing and to have an answer key. All I am doing now is letting them all have access to it too. I had some worry that kids would just go and copy it instead of working it themselves. This has happened in a couple cases, but as the kids were copying (in class, where I caught them) I noticed that they were also thinking through the problem more thoroughly from start to finish instead of getting lost in each individual step. So, also a win in my book. I have also started waiting a day to post it, so it is more of a "I work, THEN I go check" type of situation. Sometimes I scan the pages. Sometimes I just upload a picture. Sometimes I put them nicely in a word document and post it as a PDF. It usually depends on the time I have that day/week. All of those ways work just fine.